Theres no neighborhood as cool as Plaza Midwood in the nations capital, and your restaurants are certainly better. OK, so Will Smith never actually said this. But anyone can see why folks mightve fallen for the Observers April Fools Day gag. 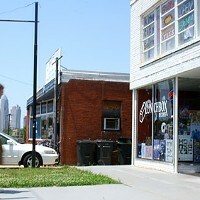 Living in PM has its perks: Some of the best food and hippest hangouts sit in walking distance of the beautiful historical homes, while new construction reflects the growing popularity of the area, complimenting the eclectic look and feel of what is inarguably the center of Charlottes melting pot. Ask anyone who lives here, and theyll tell you theres not a better place to hang your hat (in Charlotte, that is).